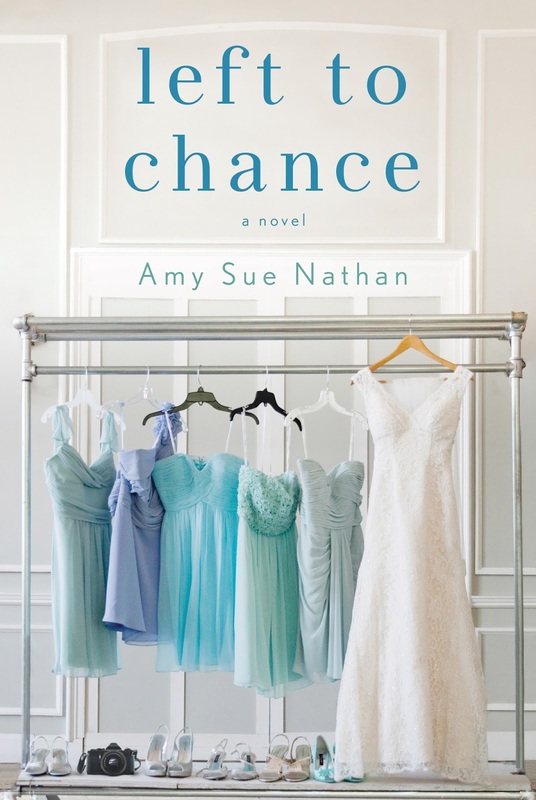 Today, we're celebrating the publication of Amy Sue Nathan's latest novel, Left to Chance. Thanks to St. Martin's Press, we have THREE copies to give away! Twelve-year-old Shayna— talented, persistent, and adorable—persuaded "Aunt Tee" to return to Chance, Ohio, to photograph her father’s wedding. Even though it's been six years since Shay's mother, Celia, died, Teddi can’t bear the thought of her best friend's husband marrying someone else. But Teddi’s bond with Shay is stronger than the hurt. After someone accuses Teddi of forgetting Celia, Teddi finally admits why she ran away, and the guilt she’s carried with her. As she relinquishes the distance that kept her safe, Teddi discovers surprising truths about the people she left behind, and finally realizes what truly matters after loss. 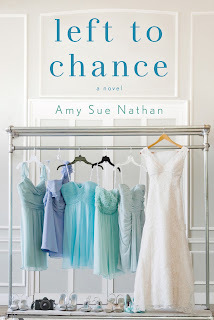 Amy Sue Nathan is the author of Left to Chance, The Good Neighbor and The Glass Wives, all published by St. Martin’s Press. She is also the founder of The Women’s Fiction Writers blog, named a Best Website for Writers three years in a row by Writer’s Digest. 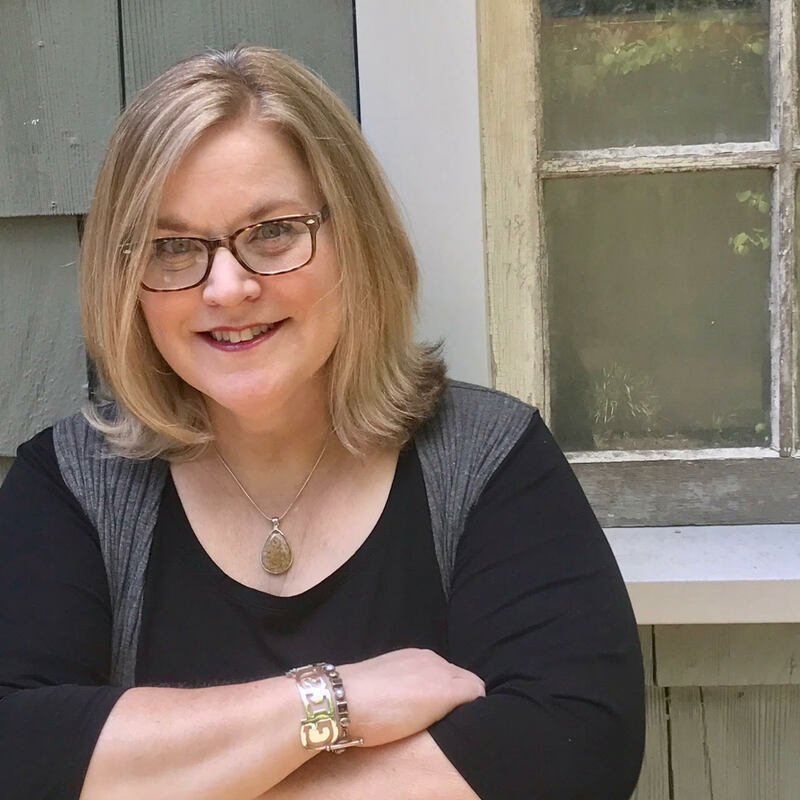 Amy’s essays and articles have been widely published in print and online, including The Chicago Tribune, Writer’s Digest, Psychology Today, Kveller, YourTango and Huffington Post. She is a frequent speaker and workshop presenter, a member of Tall Poppy Writers, and a freelance book coach and editor. You can connect with Amy just about everywhere @AmySueNathan, and on her website. The town that I grew up in didn't have much to do. Nightlife was always spent in a different town. I guess for a night out there, I would pick dinner and a movie, or maybe go to the park where all of my friend used to hang out just for a little reminiscing. Oh that book cover image makes me wish I had gone with varying blues for my wedding rather than all one color. The hues are so pretty!! I would go to Patriot Place in Foxborough, MA. The town where I grew up is rather small. I think that most places close up rather early so other than an eatery that might be open until 8. I loved it though and family are still there and I am only 15 miles away. I grew up in a small town where there wasn't much to do. If you wanted to go out to eat you would have to drive to the next town. I would love to win Amy's newest book! I would like to visit some of the new restaurants and night spots in town. I grew up in Austin. Plenty of bars and GREAT restaurants downtown so I'd definitely hit those up! I grew up in a very large, historic, charming, cosmopolitan city which had so many wonderful places to eat, dance and theatres. It has changed but it is vibrant and special. Yes, I miss the night life which is incomparable. I would go to a concert and dinner. I missed the memorable Leonard Cohen memorabilia concert held last week and that would have be unforgettable. I would love to go to the little pub I used to work at! The town where I grew up was a small little hole in the wall. There was absolutely nothing to do there. Thanks for the chance at winning a copy of this book. It’s on my want to read list. The town I lived in when I was young really had nowhere to go. There was an ice cream parlor and a movie theater. That's about it. I'm sure it's changed quite a bit in the last 60 years though. I grew up in the middle of nowhere. I guess I could star gaze. I would go to Aladdins to have an awesome dinner. Thank you for the chance. I grew up in Chicago & I would love to go back to Navy Pier walk by the water & go into the shops & then walk along Michigan Avenue. There wasn't much in the town where I grew up. I would probably go to the BINGO hall with my mom. We'd have a blast!